The beavers that maintain the ponds in Wild Rose, west of Bragg Creek, are busy eating and storing saplings and branches they have harvested. This one was enjoying a meal while floating in the water on a crisp morning this weekend. This entry was posted on September 1, 2014 by Christopher Martin. 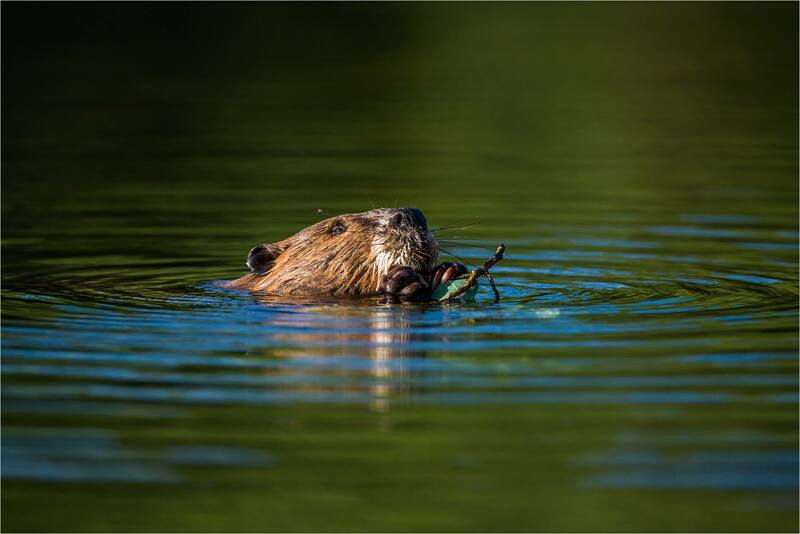 It was filed under Beaver, Wildlife and was tagged with alberta, beaver, bragg creek, Canada, Castor canadensis, nature photography, wildlife photography. Great shot…back in my home town we have a pond out in the countryside and the beavers there are like our pets ~ but very hard to capture a shot like this! I love that sweet little face.